Background: In 1973, Jay Inslee graduated with a bachelor’s degree in economics from the University of Washington. He later earned a law degree from Willamette University in 1976. He served in the Washington State House of Representatives from 1989 to 1993 before winning a seat in the U.S. House of Representatives. In 1996, Inslee served former President Bill Clinton as the regional director for the U.S. Department of Health and Human Services. Inslee then returned to the U.S. House in 1999. Finally, he was elected as the governor of Washington State in 2012. 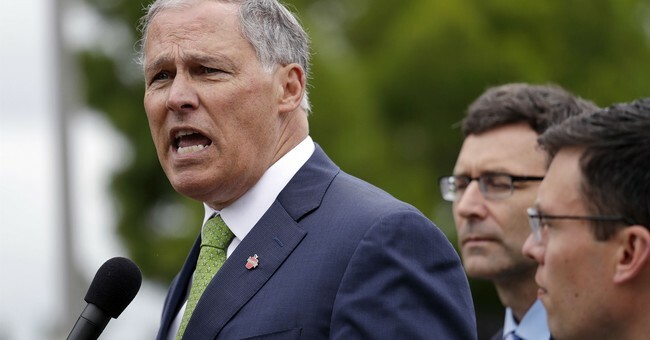 Healthcare: Inslee condemned Trump’s change to Title X, making organizations ineligible for funding, “to cover STD prevention, cancer screenings and contraception,” if they offer or refer clients to abortion services. Inslee said, “By denying access to Planned Parenthood and other family planning clinics, more than 80,000 people in Washington could lose access to their current doctor. The president is directly interfering in the doctor-patient relationship. He is forcing doctors, nurses and community health centers to deny treatment referrals and fully legal medical services to their patients, whom they took an oath to serve. This is unacceptable and wrong.” In January, Inslee introduced legislation that would provide public health care through Washington State’s Health Benefit Exchange. During the announcement, he expressed his gratitude to the Obama administration for passing the Affordable Care Act. Criminal Justice: Inslee used his clemency authority to pardon for Washington state citizens convicted of a marijuana possession misdemeanor. The governor’s website said, “This is a small step, but one that moves us in the direction of correcting injustices that disproportionately affected communities of color.” As a congressman, Inslee also voted for a new definition of “hate crime” in the Violent Crime Control and Law Enforcement Act of 1994, which would include anti-gay motivations as a factor. Abortion: Inslee is pro-abortion. As a former congressman, he voted against legislation to ban federal healthcare coverage that includes abortion, supported embryonic stem cell research, and voted against prohibiting partial-birth abortions.